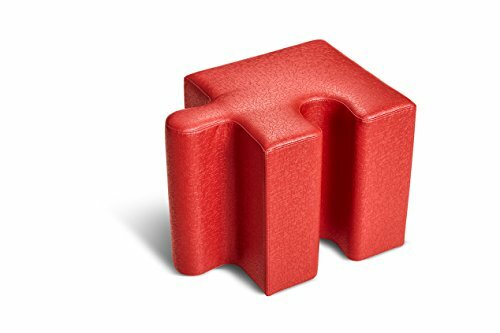 Add some fun unique jigsaw puzzle pieces furniture to a Home, office, library or waiting area. These versatile pieces can be fully interlocked as a Group or can be pulled apart to stand alone. This jigsaw puzzle piece is comfortable to sit on. The jigsaw corner right is a corner puzzle piece with two smooth sides with the tab on the right and the slot on the Left. This is proportionally weighted and can be easily moved. Fully upholstered in cf Stinson impress with sta-kleen- inks & stain resistant. This sta-kleen technology makes this seat resistant to soils, stains, inks, heavy duty abrasion, fluids, bleach-solution and fading. Includes black ½” nylon glides. Manufactured in Goshen, Indiana, USA.